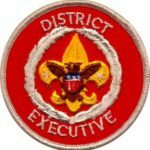 Taking a break from answering readers’ questions, a recent Ask Andy column, Troop Spotting instead gives advice to parents of Arrow of Light Scouts who are shopping for a troop. Much of the advice is stuff we know about: uniforming, youth leadership, the adult role. It’s thoughtful, comprehensive, and gives soon-to-be Boy Scouts and their parents some great information when looking for a troop. Besides being useful to boys about to cross over, it’s also a great checklist to size up our own troop. Are we doing the things that Boy Scout troops should be doing, or are there warning signs that our boys aren’t getting what Scouting offers? 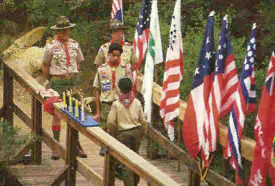 Andy’s article starts out with advice to read what Scouting’s promise actually says – in the Scout handbook – and goes beyond the obvious things like whether the boys and adults are in uniform, who is in charge and how skills are being taught, to detail the not-so-obvious signs of whether Scouting’s aims and methods are being followed. One thing that Andy brings up, the presence or absence of a meeting plan, can be hard to discern for new parents. What may appear to be chaos can actually be boys being in charge. It’s difficult to get new parents to realize that, and sometimes more difficult for us to avoid keeping the disorder and chaos from happening, but if we step in and “rescue” the boys, they’ll never learn how to do things for themselves. 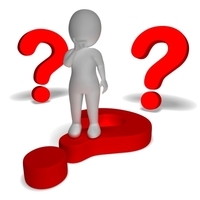 Andy ends the article with a list of questions for Webelos parents to ask when they visit a troop. It behooves us to have answers to these questions and more about how our troop operates. Now is a good time to take a look at your troop through the eyes of a prospective member, before the influx of Arrow of Light candidates comes to check us out. You will be helping not only your membership growth but help to retain boys in Scouting. This is very astute. Sometimes we get carried away with the details and fail to see ourselves from the perspective of outsiders. Thanks for helping sharpening the saw! I think that article is one of the best that he has written. It is succinct, easy to understand, and most of all, extremely helpful. Helpful in many ways. Meeting plans, meeting plans!?! Where are the meeting plans? You showed me a whole set of plans for the month at the end of the PLC meeting! They had BBQ sauce all over them because you met at Sonny’s BBQ, but you had them. Oh, I see, you gave one of them to the Shadow Patrol Leader because this is his Patrol’s night to do stuff. Does he have it? No, but he has some notes. Oh, ok. He looks a bit flustered. That’s ok? I told you to delegate some stuff. Oh, I said that. Hmmmmmmm. Good. How about the other three meeting plans? Oh yeah, those. (Uhm, hem, haw, ehhhhhhh, Dude, Right…, dog ate…wind blew…, theres this girl in second period Spanish Class, Oh Man, oooooooooops!, uh yeah, Mr. Blather I’m working on that right now…) You’re still looking. Ok, good. Well, carry on then. And so it goes. And goes. And goes 🙂 He’ll grow up to be a Captain in the Navy, command 3,600 men and drive an aircraft carrier. His wife will be an MD Doctor and his oldest son an Eagle Scout and CEO of Rayonier Paper Company and make TP for all those Navy guys. I always tell visiting parents that if it looks like the meeting is being run by amateurs, then it is probably boy led. The Scouts get better at it, then we move them on to new challenges where they get to make more mistakes. And they love it. Previous PostPrevious Who’s steering the ship?